Are the windows in your home old and outdated? They could be bringing down the curb appeal of your entire house. Even if you paint your home and update other areas of it, aging windows are still going to affect the look of it, which is why you should seriously consider replacing windows that are at the end of their lifespan. But that’s not the only reason to consider replacing older windows. 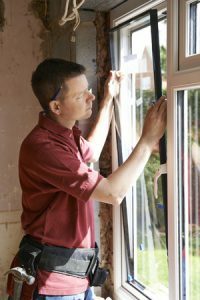 Your new windows will be more energy efficient. If you have older windows in your home, there’s a good chance that they aren’t as energy efficient as they could be. As a result, you are probably paying way more than you need to be paying in energy bills every year. By installing new windows, you can prevent air from leaking in and out of your home during the summer and winter seasons, which will give your HVAC system a break and keep your house more comfortable. Your new windows will protect your belongings from UV rays. Many of the new windows on the market today are designed to prevent UV rays from doing damage to the items in your home. Over time, you will likely notice that carpeting, furniture, and even wall furnishings will fade due to the harmful UV rays coming through your old windows. But with new windows, you can block those UV rays and stop the sun from having a damaging effect on the look of the items in your home. Your new windows will be safer to use. Once windows start to get old, it can be a hassle to open and close them easily. You shouldn’t have to struggle to get a window open or closed, so if you are finding that that’s the case, it’s time for you to replace it. Hard-to-open windows can be especially problematic in the event of a fire in your home, so don’t put off investing in new windows if your current windows are difficult to open with ease. You don’t need to replace your entire window frame during the window replacement process if you don’t want to. If your window frames still look good and open and close without a problem, but you want to enjoy some of the benefits that come with installing new panes, Affordable Glass & Mirror can help. We have great glass replacement options that will allow you to upgrade your existing window glass at a fraction of the cost of replacing entire windows. Call us at 404-361-5151 for more information.